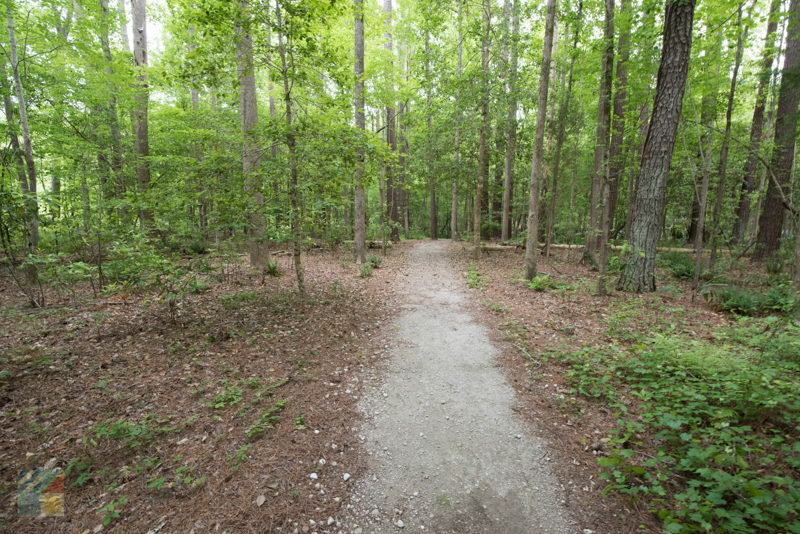 The park has a wide range of amenities, including a 2,000 ft. boardwalk which overlooks the pretty and naturally wild Broad Creek. 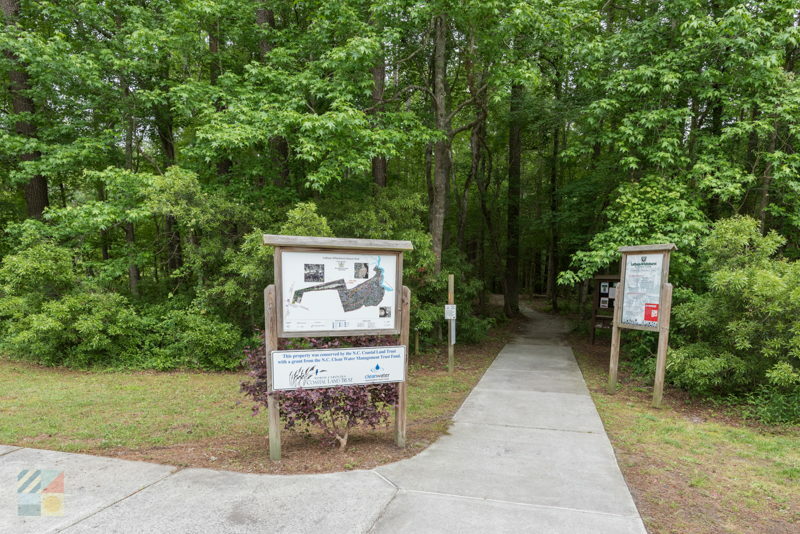 There’s also a dock on-site which includes a fishing area as well as a canoe and kayak launch. 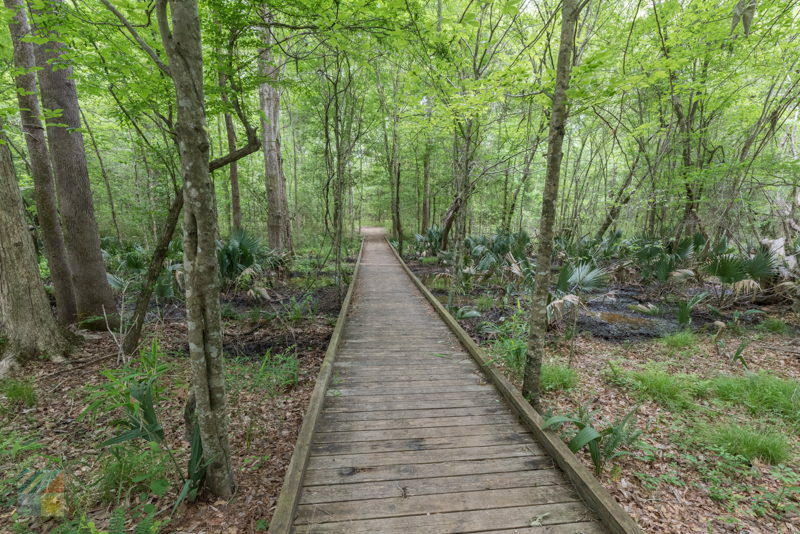 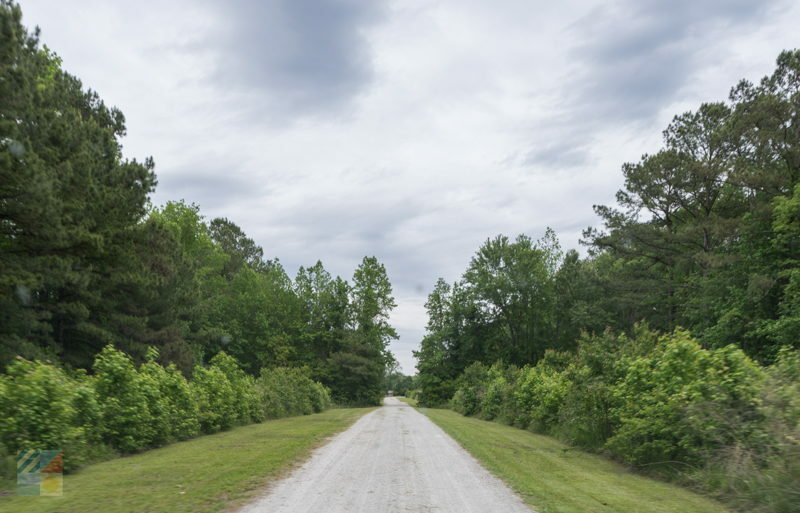 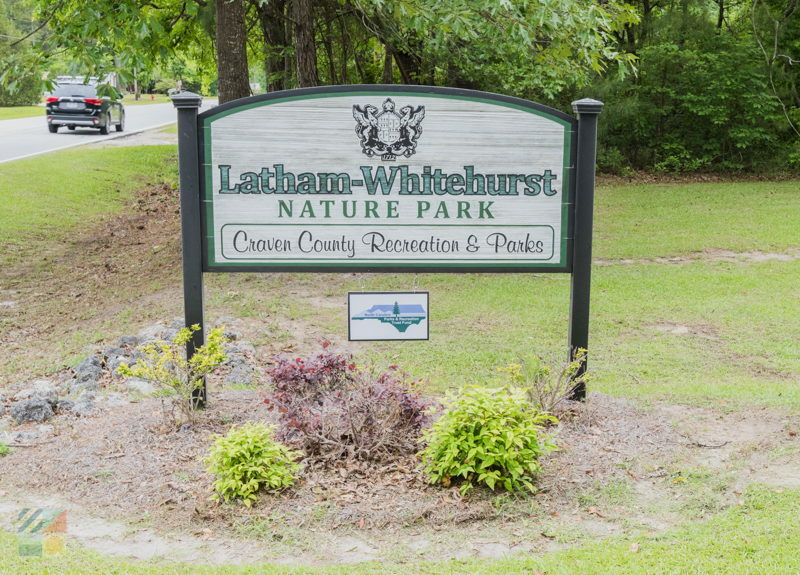 In addition to the attractions by the water, the park also features a series of nature trails which range from .16 miles to .8 miles long, and which can easily be combined for a longer trek through the scenic Craven County woods. 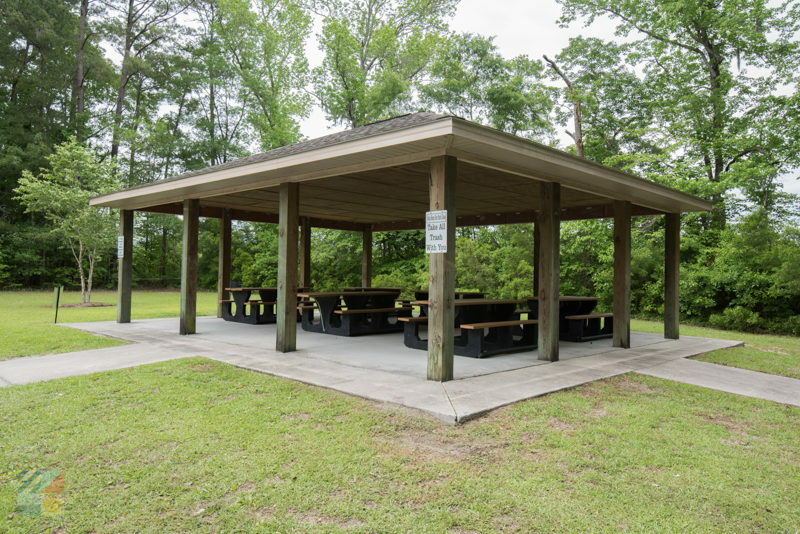 There’s also a picnic shelter close to the park’s entrance for small parties and family groups, as well as a number of picnic tables and benches along the multiple nature trails. 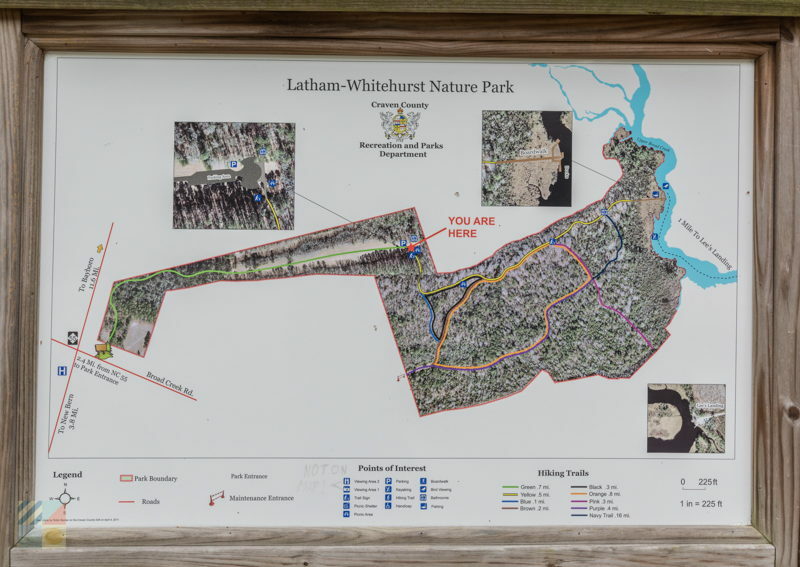 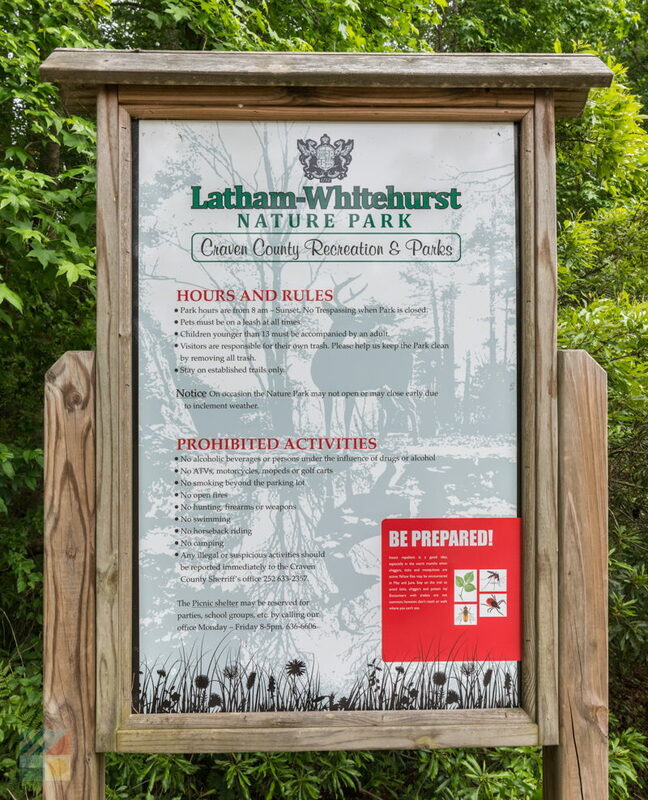 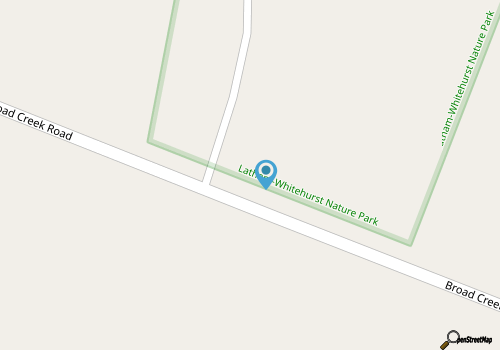 With lots of beautiful scenery in every direction, and a picturesque setting on the banks of Broad Creek, Latham Whitehurst Nature Park is a great place for visitors to discover New Bern’s inherent wild side.